Kendall and Kylie Jenner are expressing their love for Caitlyn Jenner! On Sunday, the sisters celebrated Father's Day by posting a series of throwback snaps to their Instagram Stories, many of which were taken when the former Olympian was going by Bruce Jenner. 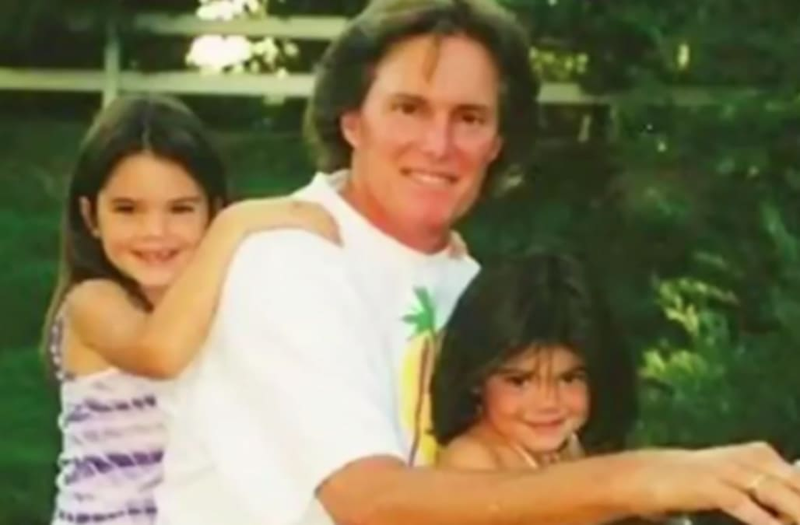 "Happy Father's Day to the soul that raised me," Kendall captioned a snap from her childhood where she's posing with Kylie and Caitlyn outside. The 22-year-old model followed that up with a throwback of Caitlyn playing tennis as well as a flashback image of a silly-string filled day of fun and a precious shot of the much younger trio with glowing smiles. Kendall then shared a more recent pic of her out with Caitlyn and Kylie. Kylie also got in on the Father's Day love too. "So lucky to call you my dad," she wrote alongside a snap of Caitlyn holding his youngest daughter as a baby. The 20-year-old new mom then shared another pic of Caitlyn holding her as a baby as well as the same silly-string pic that Kendall posted. The reality star opted to continue her posts with three photos of her whole family, including Caitlyn, Kendall, and her mom, Kris Jenner. Prior to Father's Day, Caitlyn's son, Brody, got married but she was not in attendance.